The human body is a complicated piece of machinery that is not always easy to decipher, especially when physical trauma occurs. Millions of people are in car accidents every year, and a good number will suffer some type of injury. Injuries from a car accident can run the gamut from minor bumps and bruises to permanent paralysis, but sometimes identifying the existence and source of an injury is not straightforward or easy. 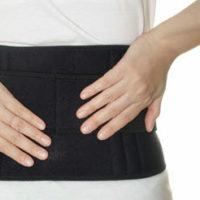 Pain or other types of impairments may not present themselves until a good amount of time has passed after an accident, which can make it difficult to connect the problem with a past undiscovered injury. Further, even if pain is present immediately following a collision, doctors may not properly identify the source because there are other more obvious sites of physical trauma. Discovering the existence of the real source of pain or discomfort years after an accident can cause some victims to assume a lawsuit is no longer possible because of the long passage of time. However, a recent jury verdict of $1.2 million awarded to a woman injured in a car accident, despite it taking doctors years to discover that her hip and foot pain was due to a ruptured ankle tendon and hip labral tear and not herniated disks as previously assumed, goes against this assumption. A discussion of the types of injuries that take time to appear after a car accident, and the Florida law on how long injured parties have to file a personal injury negligence claim, will follow below. changes in behavior, such as becoming frequently forgetful, or noticeable changes in personality, which could be a symptom of a brain injury. Anytime an unexplained physical or mental issue appears after a car accident, medical care should be sought as soon as possible. Once the health issue is addressed, it may be time to consult an experienced personal injury attorney about suing the other driver for compensation. All States place time limits on how long a person has to file a legal claim, called a statute of limitations. This provision exists to ensure that evidence and witness testimony is fresh enough to be intact and reliable. The time limit to file a negligence claim in Florida, and auto accident injuries fall under this category, is four years. Wrongful death suits, filed when a person dies due to another’s negligence, are only allowed within two years from the time of the death. Thus, as soon as it appears a car accident caused an injury, consultation with a personal injury attorney should be scheduled to ensure the right to sue is properly protected. Being injured in a car accident is often overwhelming, and knowing what to do in the aftermath is not always easy to ascertain. Instead of struggling through these issues alone, work with the experienced personal injury attorneys at Miami’s Pita Weber Del Prado. We know how devastating car accident injuries can be, and will work to get you the compensation you deserve. Contact us today for a free consultation.